Space Opera – a new supplement!! Imagine my surprise when browsing Drivethrurpg and discovered that there was a new release for the venerable Space Opera role playing game. Behold Star Sector Atlas 4: The Galactic People’s Republic. I had to immediately buy a pdf copy from Drivethrurpg to go alongside the other Space Opera Atlases I have. I hope that one day I can get a hard copy to go on my bookshelf but I might have to settle for a printed and bound pdf. This Atlas covers the Marxist Galactic People’s Republic and it’s home sector NCG 1039. It details the background history to the formation of this particular state, from the events of the “Wet Firecracker War” of 2008 and the collapse of the Soviet Union (the USA and allies had invented, with some alien intervention, a nuclear damper – well it is Space Opera) through the machinations of the surviving members of the old regime and their comrades from the Peoples Republic of China and other hold-out socialist states and their decades long plan to export the revolution to someplace else where those pesky Western Alliance and later United World governments wouldn’t follow. It was nice to see that the original history of the Space Opera universe (written back in the 70s) has been maintained through to this date. Guess we call this an historical divergence. A potted history of the GPR and subsequent wars and a multitude of Five Year Plans takes up the first ten pages. A few pages on the Red Army, Red Space Navy and of course the KGB and some details of life in the GPR for the average comrade follow. The command economy of the GPR results in the expected shortages and inevitable queuing. he had shot the Chairman, he said “No, the line was too long. There are forty one planets detailed in the Atlas. The format is in the traditional Space Opera style. I remember when I got the first Atlas back in the early 1980s how much I liked the information presented compared to the simplified UPP (Universal Planetary Profile) of Traveller. However, rolling up a Space Opera planet was about ten times the work of making a Space Opera Character – which was about fifty times the work of making a Traveller one – you get the picture. 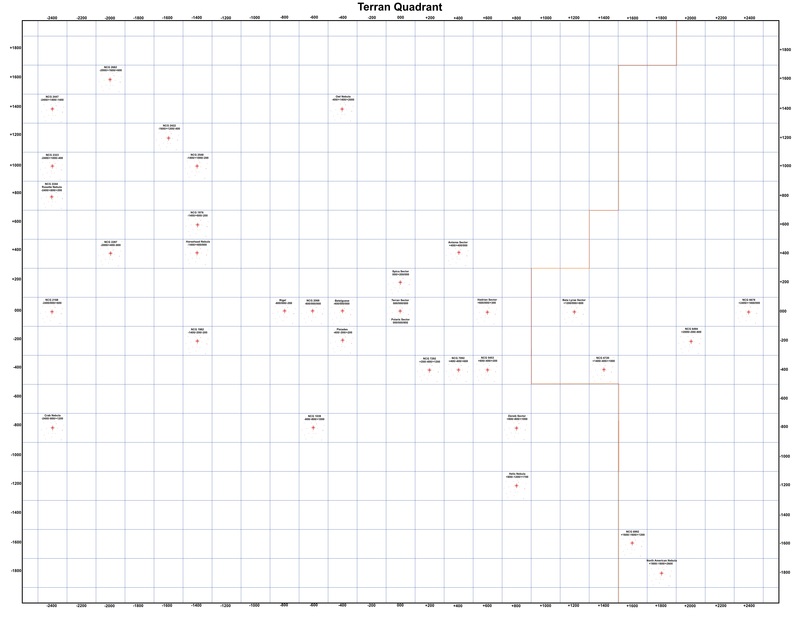 But any system that lets you roll Xeno-Acceptance and planetary per capita GDP is still cool. Production wise – the supplement is nice and crisp. The horrible typewriter font that was used in the original Space Opera supplements is gone. The interior artwork is totally reminiscent of the older modules from the 80s – with a few exceptions. The Soviet Style Propaganda posters are a nice touch, and would have looked great in colour. The only thing I don’t like is the sector map. It is one component of the module that I thought could have done with some updating. The Space Opera setting is actually a very good one, if you pick and choose what parts you use. As written is was designed to be Traveller, Lensman, Star Wars and Star Trek all rolled into one, with a sprinkling of every other sci-fi novel written up to the late seventies included. I am seriously thinking that a Savage Worlds Space Opera would be popular. Join the Space Navy or something. The Star Atlas series was supposed to include Numbers 1-10 for the official setting and above that number for contributed sectors. I am not sure who this new product will appeal to other than nostalgic role-players in their late 40s and 50s up – the exact demographic I am in. I am looking forward to the next release and am hoping to see it before another three decades have gone by. Something different this week. This is a GURPS: Spaceships design for a hard(ish) sci-fi setting. This vessel is a small (Size Modifier +8) multi-purpose Passenger/cargo hauler. This setting has no artificial gravity so passenger and crew accommodations are in a spin habitat that provides up to 0.5G in simulated gravity. The rest of the ship is in zero-G. 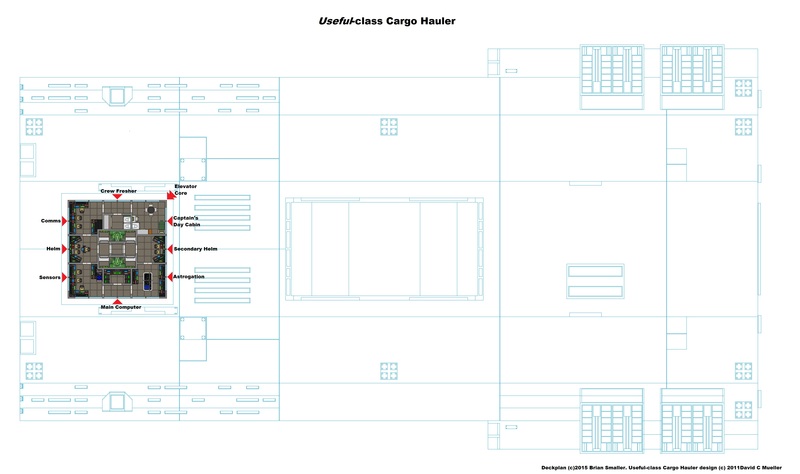 The core cargo areas double up as an emergency storm shelter in case of solar flares. The ship has a sizable fuel store giving a total delta-V reserve of 200m/sec. To convert this ship to a GURPS: Transhuman Space vessel, drop the FTL drive and add some more cargo space. Also change the propulsion system to A Fusion Pulse Drive and drop the delta-V reserve of the fuel tanks accordingly. This is my entry in the reddit competition to design a 100Dton Scout ship – any design rules. I went with the GURPS Spaceships ruleset which is an abstract design system that divides a ship up into twenty slots and various systems are then plugged in – fuel, engines, crew accommodations and so forth. 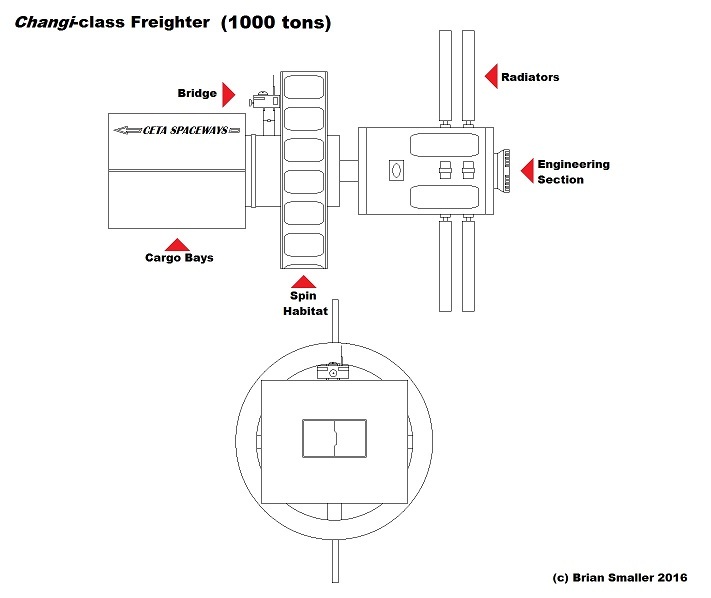 Ships are rated by size, ranging from Size Modifier +5 (30 tons) to +15 (3 million tons). Exactly what a particular system plugged into a slot gives you depends totally on the size of the vessel. For example, a bridge on a SM+5 ship has one control station, while on a SM+15 ship it has sixty. I went for a Solomani Survey Scout. This vessel is designed for survey and research work. It has enhanced scientific sensors to aid in this work. 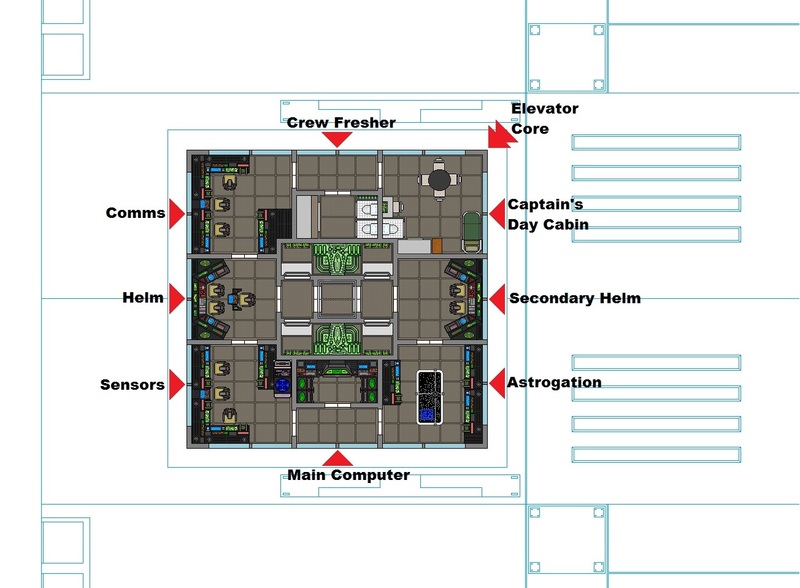 It carries eight crew in somewhat cramped conditions, which is normal on Solomani ships compared to Imperial vessels which allocate more space per crewman on average. This PDF gives all the systems and ship stats in GURPS Spaceship format. 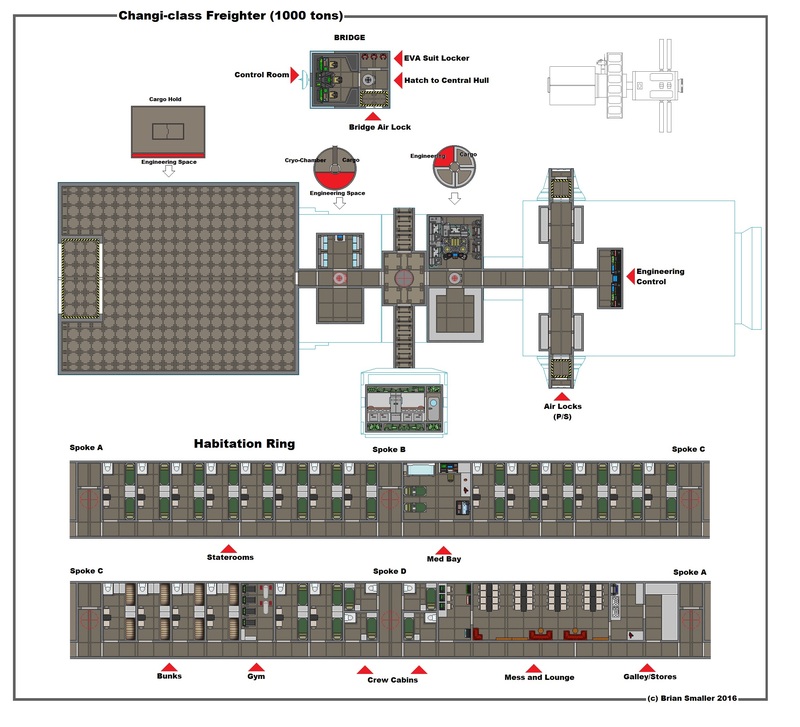 This PDF includes a copy of the deck plan (reduced size). 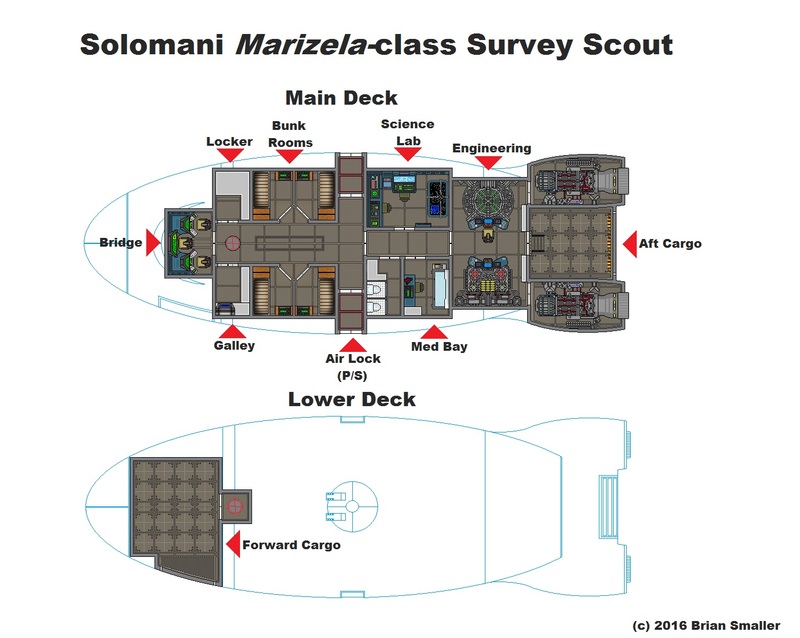 Deck layout of the Marizela-class Survey Scout. NOTE: The name ‘Marizela” was chosen because it belongs to a missing woman whose story has touched me. Marizela Perez went missing in 2011 from near her college campus at the University of Washington in Seattle. I cannot imagine the anguish of the family not knowing the whereabouts of their loved one. Please visit the Find Marizela Website. Armor: Titanium Steel, 10%. Armor 4. With my interest in Scifi role-playing and drawing deck plans I browse a lot of star ship images and web sites that host them. I was fortunate to run across David Mueller’s Speculative Starship Designer site. I recommend that you go and have a look. An interesting mix of philosophy and science fiction. I began corresponding with David and asked his permission to try to do some of my deck plans based on some of his designs. He readily agreed and I have started with his Useful-class Freighter from his “STAR VESSELS” PROJECT. David kindly provided me with some of the wire cage and WIP images he used to produce the images on his site, a few of which are published here. Please go to his site and spend some time browsing – you wont be disappointed. The “Useful” class Star Hauler is the most common Human medium cargo ship currently in service. It can tow two large cargo containers in addition to internally stowed freight. The main cargo bay can be accessed from both the front and rear of the vessel. A small complement of passengers can be accommodated along with the cargo. This stalwart second generation Tech Level 6 design has also been produced in survey ship and small hospital ship variants. As far as stats for RPG games go – I have only worked this ship up as GURPS Space Ship design. As far as Traveller goes I am thinking about 4-5000Dtons comparing it to my other designs. As GURPS Spaceships design (my current favourite design system) it is a SM+10 ship (About 10,000 Stons). Now first off – I did not paint these miniatures. I brought them at a convention bring-and-buy I am guessing ten or more years ago. I have never played W40K but took an instant like to these. I got pretty much a whole playable army (I am guessing) that is almost all in metal figures for the cost of perhaps two squads at current Games Workshop prices for plastics. I am talking about three full ten man squads of infantry, a landspeeder, a couple of vehicles and a bike squad, the terminator squad and some specialist figures (librarians and such like). I have added a few new units – a battle trike and a tech marine/servitors. I particularly liked the decals used – and have never found out where they are from or who made them. If I did I might expand this army and start playing a few games. If any New Zealand readers know who painted these, and could point me to where the decals came from I would appreciate it. With the help of Wbyrd’s fertile imagination the Zhodani theme moves right along. 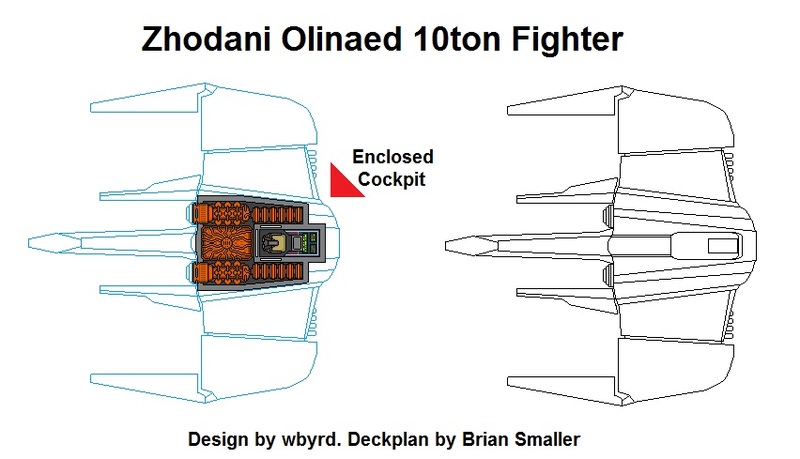 Wbyrd got a lot of feedback on his last fighter concept aimed at giving the fighter a more Zhodani-like feel. A lot of readers thought that more classical Zho design features were needed. This is his second concept fighter in a week. A 10-Dton Fighter. I added a ventral access cockpit access hatch and a pilot seat with two modes – flight and landed. From the original discussion at Citizens of the Imperium. One of the newest fighters deployed by the Zhodanii fleet, client states, and Allied forces. 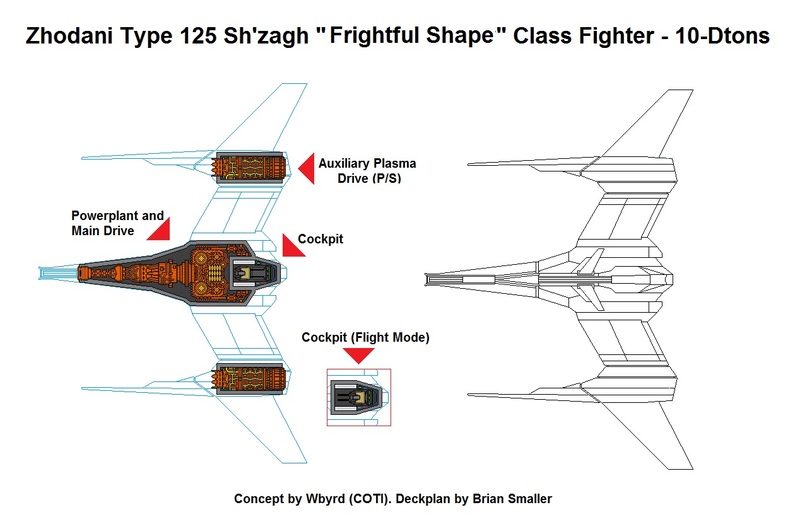 Type 125 Sh’zahg ( “Frightful Shape”, Imperium Code Name Zack) is a swift, agile and lethal fighter. Reserved for more experienced pilots, the Sh’zahg is named after a lethal ray like aquatic predator revered by the minor race native to the designer’s homeworld. The Sh’zahg made it’s debut during a border dispute between a large mining concern and a Zhodani corporation. When the Mining Concerns mercenary security forces fired on a transport severely damaging it. A single Zhodani Carrier and it’s escorts were dispatch. The flights of fighters launched by the Squadron disabled and nearly destroyed the four Mercenary cruisers in the area, and flattened the ground installation being contested by the two companies. Even with fighter support the four Broadswords were unable to deal with he massed missile and laser fire put out by several squadrons of fighters. In the end the mercenary cruisers were able to destroy several fighters, but they inflicted no harm what so ever on the carrier or its escorts as they hovered well outside of weapons range. Like the Older 10 ton Trilobite the Sh’zahg is lightly armoured, and has few defences. The pilot also sits in a sealed cockpit, with only narrow blow out panels covering vision slots to allow the pilot to operate if his electronics are destroyed, The Fighter does however have some pilot survival hardware built in to allow the pilot to eject in safety and survive for an extended period while waiting for pickup by his carrier vessel. While more sophisticated than the Trilobite, the type 125 is still highly vulnerable to hostile fire, and its pilots have only a marginal survival advantage over the older fighters. The Zhodani have put more attention to the weapons and firecontrol systems of the newer fighter, but still seem to consider even experienced pilots as unfortunate casualties. 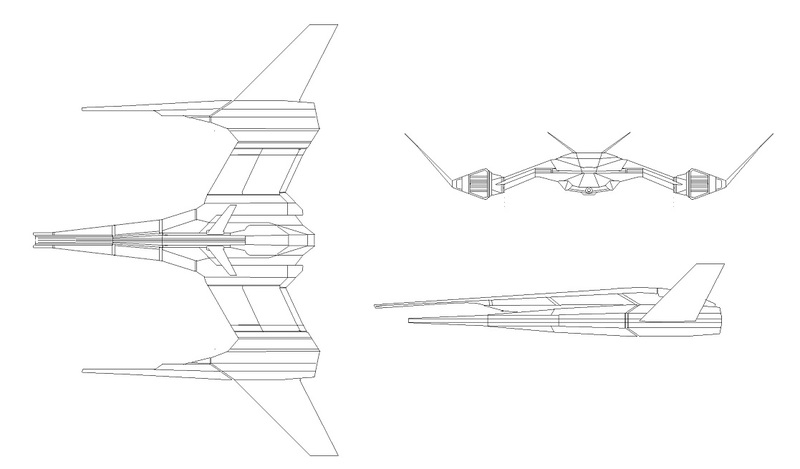 Over at Citizens of the Imperium veteran poster Wbyrd has been churning out concept designs for fighters. They are really cool and I knocked out a deckplan for his Zhodani Olinaed “Trilobite” fighter. Here is a link to the original discussion over at COTI. An older widely seen fighter deployed as a screening, scouting force for Zhodanii warships the Type 95 (“trilobite) is a fairly cheap, largely expendable fighter which is used in large numbers to harass enemy shipping, and screen larger ships against light attack craft and gunships. Reasonably agile and fast the fighter can close into attack rage quickly and escape the heavier weapons of larger vessels before the formation is destroyed by heavy return fire. Few fighters can match its acceleration, and in expert hand the Type 95 can easily outrun missiles launched at them by other fighters and starships. With few defensive system, light armour, and no pilot survival equipment installed the Type 95 is mockingly called a Prole Bomb, by Imperium fighter pilots. In practice the Type 95 is as effective as it’s Imperium counterparts, with numbers making up for the slightly better armour, and pilot survival hardware of Imperium fighters. Zhodanii admirals do not seem to concern themselves with the loss of mostly lower class Prole pilots assigned to these poorly defended craft. Often older craft, or “Surplus” lots are sold at discounts to independent groups hostile to the Imperium. In the hands of Private “merchants” ,Pirates, and Vargr Raiders the Type 95 is as common in the hands of Rogue and criminal elements along the Zhodanii frontiers as it is in the hands of the Zhodanii fleet. One distinctive feature of the Design is the hybrid Gravitic Plasma drives used by the designers. This is not a major advantage to the fighters since it has similar performance to a pure gravitic drive, and offer little advantage over their pure gravitic counterparts. They however do tend to leave a noticeable trail of ionised gas behind the fighter as it manoeuvres, giving opponents an easy visual cue to identify Zhodanii fighters among a mixed group of small craft. An updated map of the Terran Sector for Space Opera, or in fact any other game using a 3D map. The map is a 200x200x200 Light Year cube, centered on the Sol System. Ninety stars are shown. It is important to remember that this volume of space contains over 30,000 stars. I have included a spreadsheet showing stellar distances. I would not print it out unless you have an A1 sized printer that can do floor plans. As far as a description of each system – I will leave that up to those who feel they need one. I was going to just use standard Traveller for this task. There are some pretty cool system generators out there that can do this for you in seconds. If you would like a copy of the actual spreadsheet (or a blank for doing your own star sectors) then please contact me and I will send you a copy. 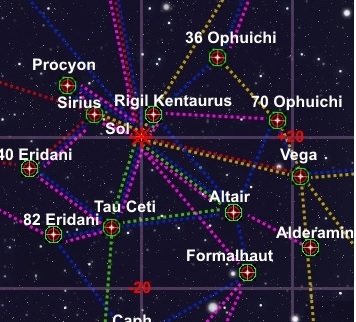 And one with the main routes of some of the major starlines of the sector shown. I am a long time fan of Fantasy Game Unlimited’s Space Opera universe. I have done an earlier post on this game giving a brief overview of the background. It was an incredibly complex game system – so much so that I think that I only ever played one game using the mechanics and in the end we switched back to Traveller. But as I said, I loved the setting. 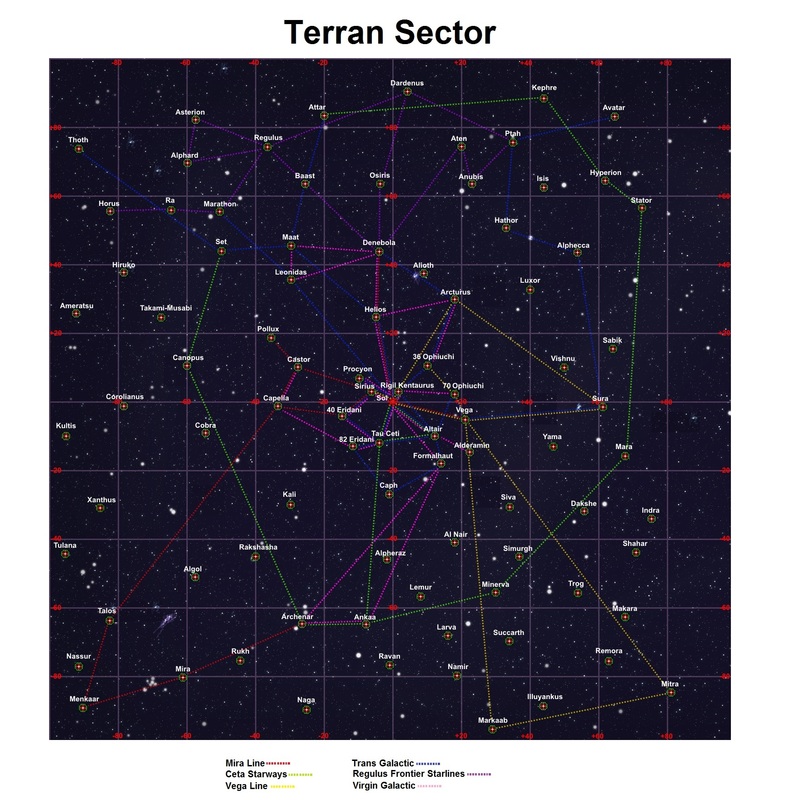 The module Star Sector Atlas 1: The Terran Sector came with a large fold-out map of the Terran Quadrant. 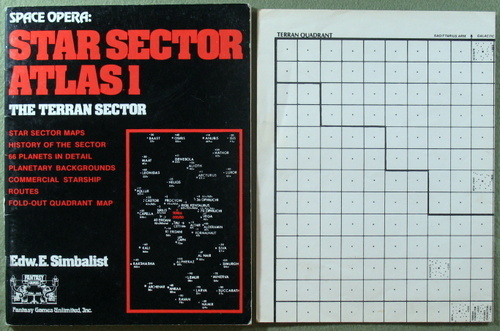 For someone used to Traveller subsectors a gaming map encompassing 99,840,000,000 cubic light years was pretty amazing. I have several copies of the original Quadrant map and wanted something electronic – so I knocked one up yesterday. I changed the format somewhat but tried to keep to the original as much as possible. I have added my own Hadrian Sector to the map – a post on the work on that Sector will be made in the next day or two. For my new campaign I am using GURPS Space as the basis but like most things I do there will be a lot of hybridisation going on. For example, I have not decided on what system to use for planetary and system generation. For simplicity I was thinking of sticking with Traveller but I have since found some pretty cool GURPS Space generators that can knock out a million systems in no time at all. Warning: This is a big file – the map is 4688×3632 pixels and is 1.25Mb in size. The orange line is the approximate edge of the Orion Arm. 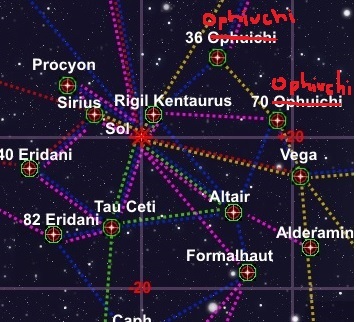 Galactic Centre is towards the right of the map. 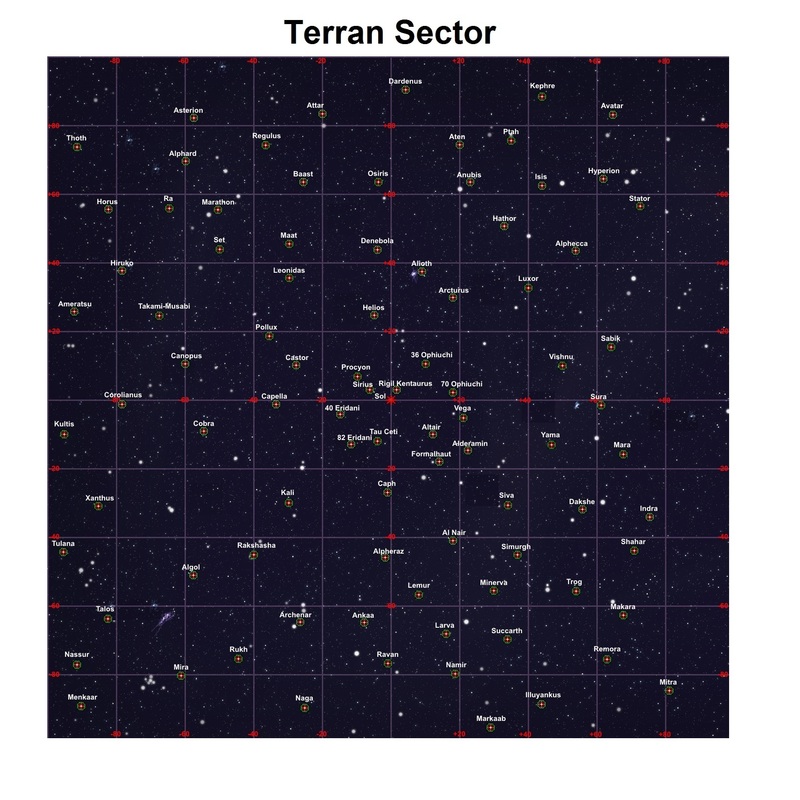 The map is centred on the Terran Sector which is at location 000/000/000. Or even more easily by going to this web site and putting in the numbers. For example, to compute the distance between the Terran Sector and the Hadrian sector (Terran 000/000/000 and Hadrian 600/000/300) plug those into the website linked to above and get 670.8LY. Quite a haul in a cargo freighter crawling along at 10LY per day. Over two months. Only a few weeks in a fast courier though.